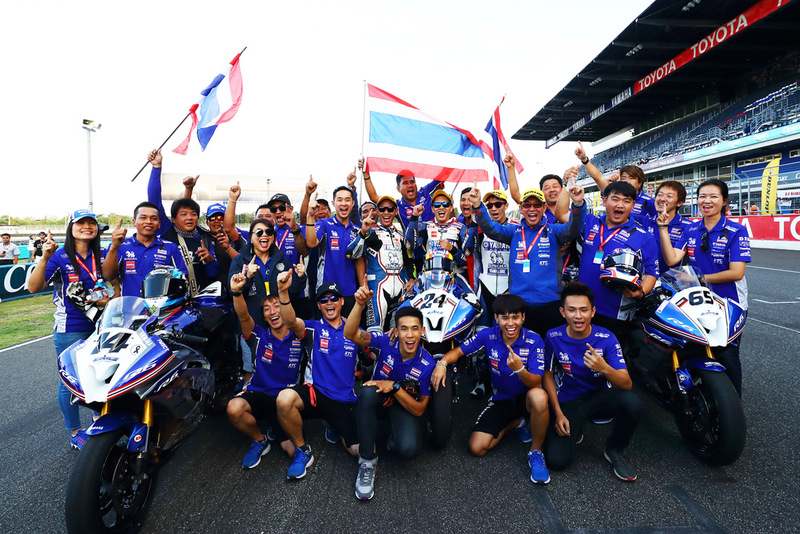 In 2016, the Yamaha Thailand Racing Team managed by Thai Yamaha Motor Co., Ltd (TYM)—a local subsidiary of Yamaha Motor—achieved big results in the Asian motorsports scene and asserted their presence in racing. In the Asia Road Racing Championship (ARRC), the team lifted the Asia Production 250 class crown and finished as the highest-ranked Yamaha with 5th in the premier SuperSports 600 (SS600) class. It also secured the runner-up spot in the ST600 class of the All Japan Road Race Championship. With all their accomplishments, it's no exaggeration to say they have become one of the top teams representing Asia. However, TYM is anything but satisfied with their current progress and that mindset has to do with a certain event. "I'll never forget what happened. It was on March 22nd, 2015. That day became a very important one in the history of Thai motorsport. The cheers filled the entire circuit and even we were moved by the scene. But sadly for us, it wasn't a Yamaha rider who had made this happen. Even so, the magic moment that gripped the hearts of Thai people was something real. With a strong sense of both admiration and jealousy, I swore at that moment that next time...it would be Yamaha." 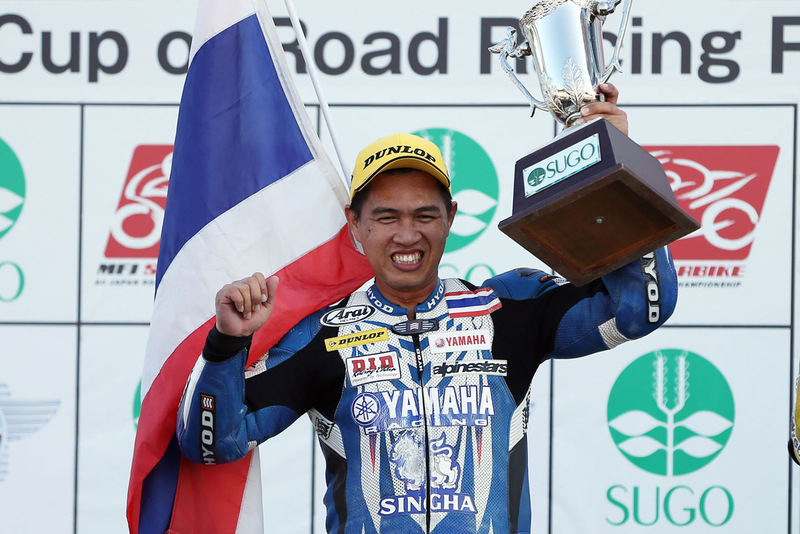 The moment spoken of was when a Thai rider—albeit from another manufacturer's team—overcame the European contingent of regulars to take the win at the Thai round of the World Supersport Championship (WSS). And these words truly represented the feelings shared by all of the Yamaha Thailand Racing Team and TYM staff at the time. Let's rewind the clock to the beginning of 2000. It was from then that TYM began aggressively participating in motorsport. Among its pursuits, TYM helped produce many Thai champions of the Yamaha ASEAN Cup Race,* an activity started in 2003 with the goals of promoting Yamaha's brand image, popularizing motorsport and developing riders. 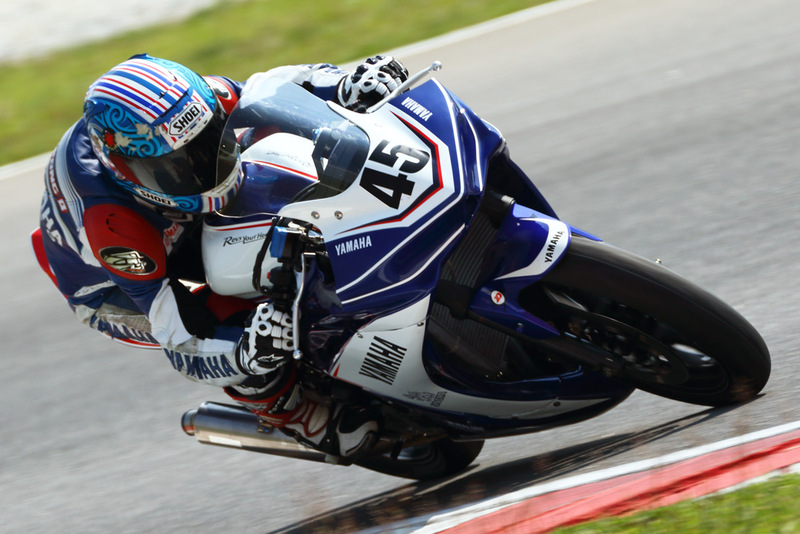 Racers who demonstrated particularly high skills were then placed into the Yamaha Thailand Racing Team as the next step in their development. Through their racing exploits, those riders became local heroes helping to promote and establish the image of Yamaha as a sporty brand in the market, as well as playing a vital supportive role in TYM's business strategies. A member of TYM's marketing division says, "We also wanted them to become symbols of the spread of motorsport in Thailand. This means turning them into somebody that kids would look up to and aim to be someday. For that to happen, we need them to grow into riders who can take on the world. That's exactly why we respect them as professionals and have supported them as much as possible." Conscious of the level of motorsports in highly developed areas like Japan, Europe and the U.S., TYM has gone about developing riders and team staff in Asia aiming to catch up to that level. 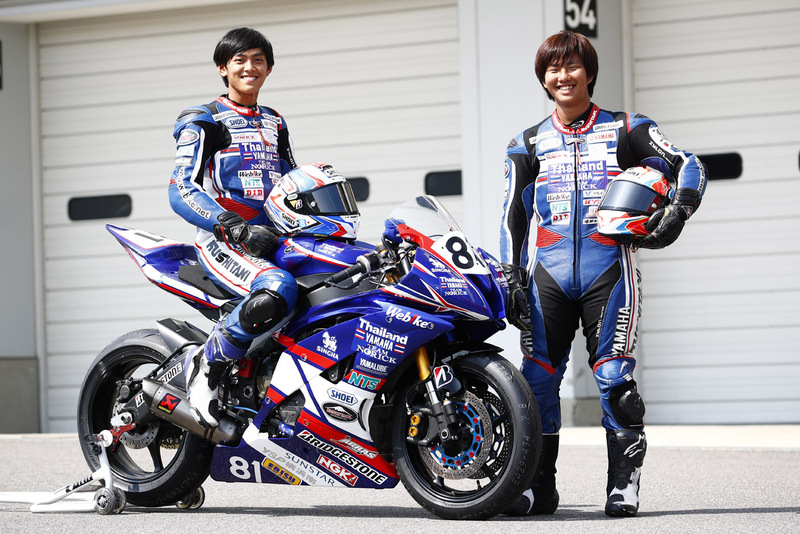 Highlights of the team's work include winning several ARRC championships, entering the All Japan Championship, lifting the All Japan ST600 class crown in 2012 and continuing to bring stiff competition to Japanese riders in the class. Then in March 2015, at an event held as part of the Thai market launch of the YZF-R3 global model, Thai riders were at the center of promotional activities alongside Yamaha's MotoGP riders like Valentino Rossi. Selected for the task were Decha Kraisart and Chalermpol Polamai, two riders who continue to actively race with Asia as their main battleground. Just as TYM had planned, the two have become symbols of Thai motorsports and have become a major influence on the Thai market through their position as local heroes. For that very reason, having the position of local hero usurped by a rival in WSS was a sore disappointment. However, it would not be long before signs of a counteroffensive began to emerge. In 2015, Yamaha Motor began creating a step-up model with the newly established AP250 class of the ARRC as its starting point. Working together with its subsidiaries in Asia, Yamaha began a rider development project with the slogan "From Asia to the World." The goal is to someday have a Yamaha rider from Asia competing at the front in a world championship and revving the hearts of people around the continent. TYM's Yamaha Thailand Racing Team is included in this mission, and they have taken on the challenge of finding and developing new heroes to follow in Decha and Chalermpol's footsteps. Astonishingly, even as TYM were contesting the AP250 class, they were also in the process of searching for yet another road to the world stage. Two riders were chosen. One was Peerapong Boonlert (born in 1998), who competed full-time in the AP250 class in 2015 on the Yamaha Thailand Racing Team and took 7th overall, and Keminth Kubo (born in 1999 to a Thai mother and Japanese father), whose only experience was in local races and one-make races like the Yamaha R3 Thailand Challenge Cup organized by TYM. An audition for hopeful prospects took place first in Thailand, and Peerapong and Keminth caught Team Manager Abe’s eye. It was a choice that nobody could have foreseen. The project was set to begin in 2016. So, Abe set up “Yamaha Thailand Team Norick” as a place to welcome these new prospects. And with the stage set, all that was left was for Peerapong and Keminth to begin their journey. 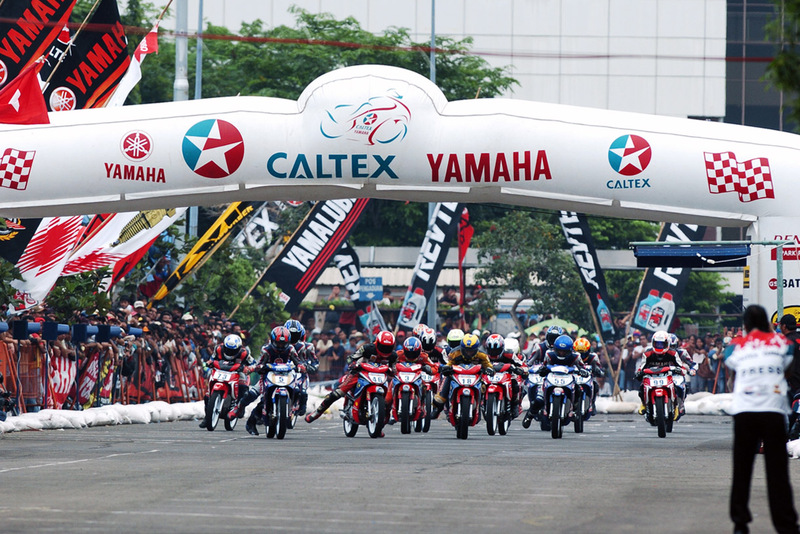 This Yamaha one-make race is contested by riders on who entered and won qualifying races held by local Yamaha subsidiaries in various ASEAN countries. It was begun in 2003 as an international competition to determine the No. 1 rider in the ASEAN region. It is held in ASEAN countries—the most important market area for Yamaha’s motorcycle business—in order to strengthen Yamaha’s brand image, increase the popularity of and promote the spread of motorsports, and develop young riders. For the spread of motorsports, local subsidiaries set up and hold Yamaha Cup races and the like with the end-target being the Yamaha ASEAN Cup Race, creating a clear path of progression for developing young riders. With the larger number of riders participating in races, the higher level of rider skill and the results and efforts seen in ARRC, the road from ASEAN countries to the world stage is being paved. In 1994 at the Japan GP, Abe made a spectacular GP500 wildcard debut as he ran at the front before crashing out with just three laps remaining. That year he was riding for a different team in the All Japan Road Race Championship, but made the switch to Yamaha mid-season. After taking part in three more GP500 rounds that season, he raced his first full season in the class with Yamaha in 1995, taking 5th overall. His first win came at the 1996 Japan GP. His next was at the 1999 Rio GP and then again at the 2000 Japan GP, giving him three career wins. In 2005 and 2006 he contested the World Superbike Championship and returned to the All Japan Championship in 2007. But in October of the same year, he was tragically involved in a traffic accident and passed away at the young age of 32. 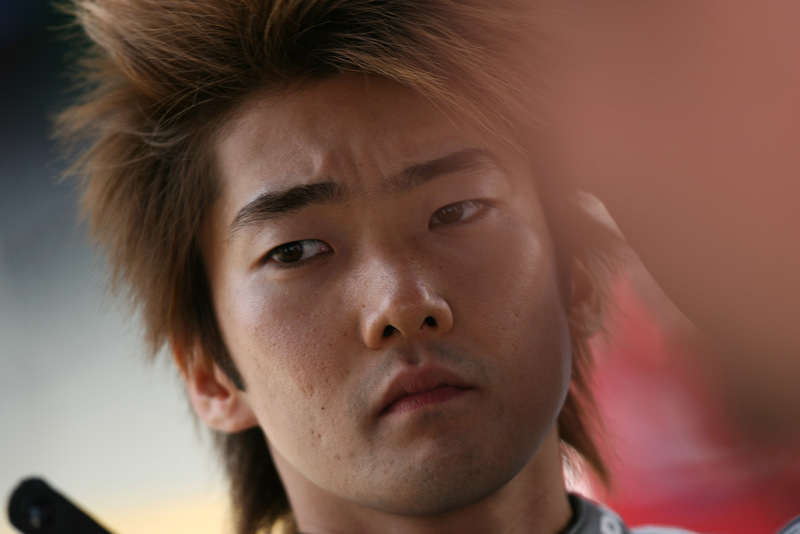 Norifumi “Norick” Abe started the team in 2006 with aspirations of creating future MotoGP champions. The predecessor to this was the “Norick Parent and Child Motorcycle Class” that aimed to show kids the joy of riding motorcycles. 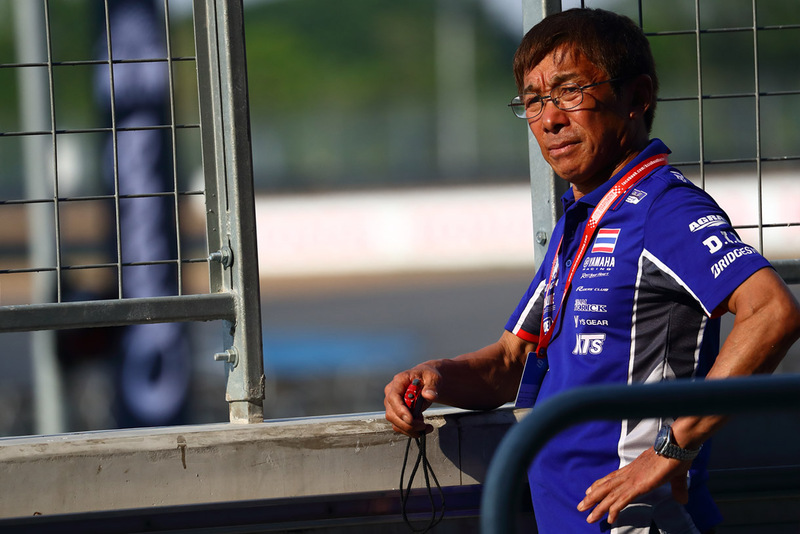 Since the focus was initially on children, the team operated as “Team Norick JR.” After Norick’s passing in 2007, his father Mitsuo took over as team manager to carry on Norick’s legacy. The team now works to develop riders across several age groups and continue to work steadily toward their goals and producing talents like Yamaha rider Kohta Nozane. Mitsuo Abe is the late Norifumi “Norick” Abe's father and is the representative and manager of Team Norick. He made his debut as an Auto Race rider in 1968 and ended racing in 2015, raising Norick and managing a team over his 47-year career. He dedicates his time to carrying on Norick’s legacy by running Team Norick, and continues to be involved in rider development in series like the All Japan Championship and the ARRC.